Moving furniture up stairs is never fun, but if you live in a second-story apartment or are decorating the second story of a home, the need to carry furniture upstairs is inevitable. Bringing a couch upstairs can get a little tricky and takes advance planning because it is so large and unwieldy. It is important to move it safely to avoid injuries. Find a friend to help you. Plan your actions before you move the couch so there is no confusion or delay while you're holding this heavy object, especially if you have to go around a corner. Use a dolly to help your move your couch. Plan your route and clear the path of obstructions, such as toys, shoes or other pieces of furniture. Put on supportive shoes, such as athletic shoes, that have good traction. Put on a back brace to support your vertebrae during lifting. Put on gloves to protect your hands from splinters or upholstery staples. Remove all cushions and pillows from the couch. Put them to the side. Carefully tip the couch onto its back. Turn the couch legs counterclockwise to unscrew and remove them. Gather them together and set them to the side. 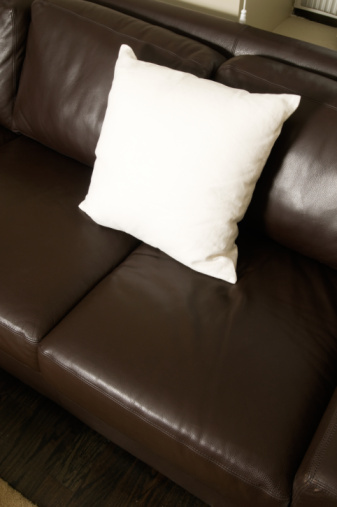 Wrap the couch in plastic furniture wrap or bubble paper to protect it against damage during transport. Tape it closed with duct tape so no loose pieces are hanging off. Set the couch down on cardboard or rags on the floor. Push the couch to the base of the stairs. Carry the couch through any confined areas, if necessary. Situate one person on each end, bend down, keeping your back straight. Bend at the knees and firmly grasp the couch from the bottom edge. Count to three and lift the couch at the same time. Walk carefully and slowly in step with each other. If walking backwards, look over your shoulder as you walk. The person walking forwards should follow your lead and not push you too fast. Tilt the couch onto one side with the bottom facing the back of a dolly. Have one person hold the couch steady while the other carefully wriggles the dolly underneath the couch's arm. Lean the couch back onto the dolly. Secure the couch to the dolly with bungee cords or straps. 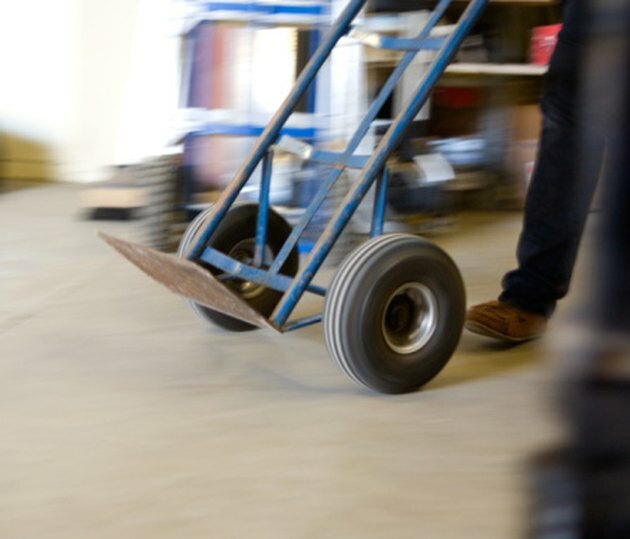 Walk backwards up the stairs with the dolly, going slowly and rolling the wheels up one step at a time. Have the second person follow you and keep the couch steady. Wheel the couch to its new location once it is upstairs. Either keep it on the dolly, place it on cardboard or rags and push it or carry it, whichever is easiest. Set the couch in its new location. Remove the plastic wrap. Put the legs, cushions and pillows back on.